Grant Morrison and artist Liam Sharp Hal Jordan far from Earth within the pages of The Green Lantern. For months, Jordan’s erratic behavior has put his future in the Green Lantern Corps in jeopardy. He seemingly killed a suspect in custody in full view of his fellow Lanterns. A short time later, Jordan infiltrated the ranks of the Blackstars, Controller Mu’s new iteration of the Darkstars. When Jordan was exposed, he willingly offered to become one of the Blackstars and turned his back on the GLC. However, Jordan’s loyalty will be tested in Superhero Hype’s exclusive preview from The Green Lantern #6. Controller Mu’s latest act of aggression has placed the entire planet Rann under Blackstar control. 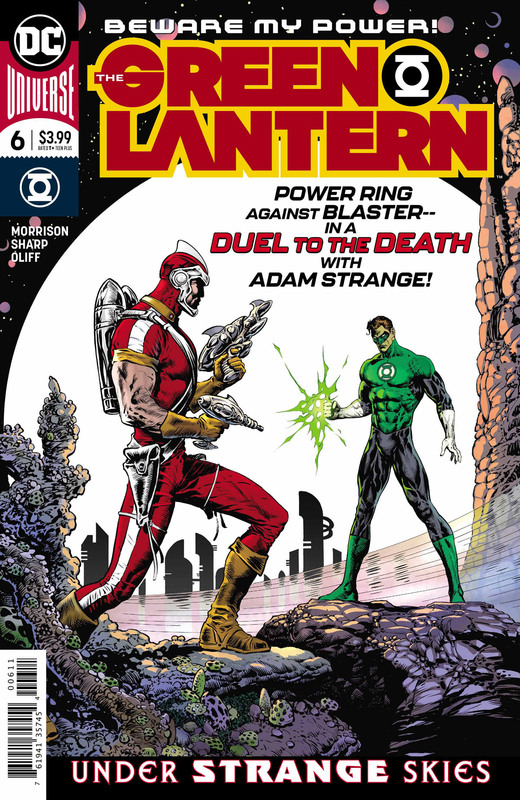 Even Rann’s defender, Adam Strange, has been caught up in this trap. 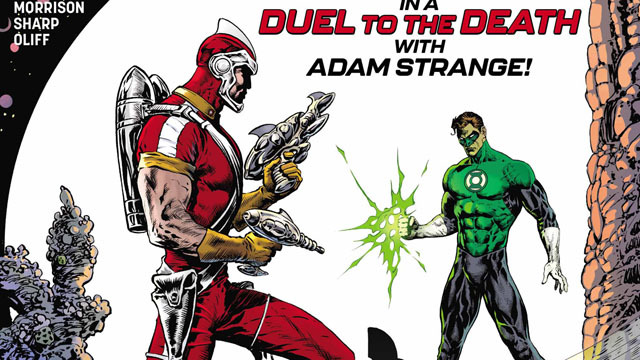 Now, Jordan has to prove himself once and for all by defeating Strange in single combat…to the death! You can read the full exclusive preview in our gallery below. The Green Lantern #6 will hit comic shops on Wednesday, April 3. Let us know what you think in the comment section below!